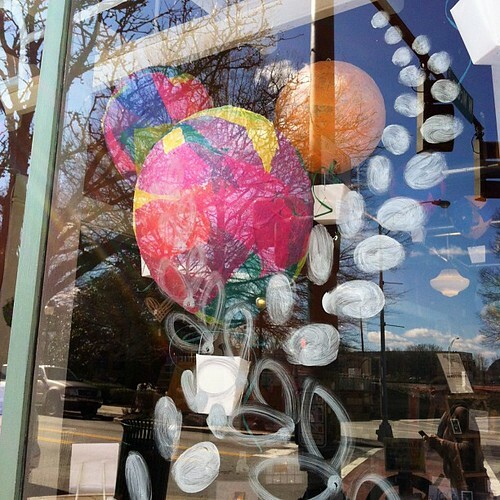 Last Monday, I shared photos from the papier-mache party we hosted to create hot air balloons for our upcoming window installation at the downtown Greensboro store Just Be. 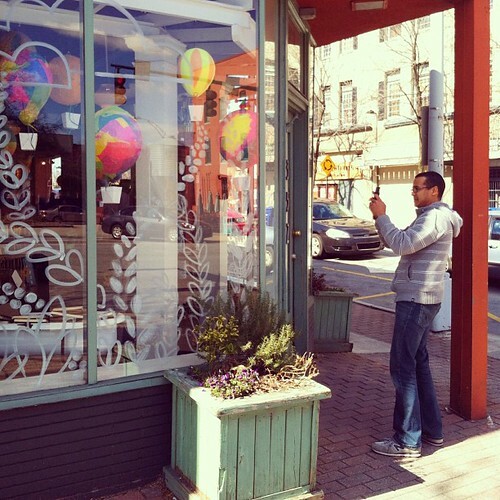 This weekend Edgar and I completed the installation and had a great time in the process--placing hot air balloons throughout the store and framing them with giant window illustrations. Definitely the biggest sketchbook we've worked in to date! Thanks to all those who helped us in the process. We really enjoyed the time spent with friends! This looks such a great window installation, I love those air balloons, very eye catching. I hope loads of people stopped by to visit and see what you have worked on. 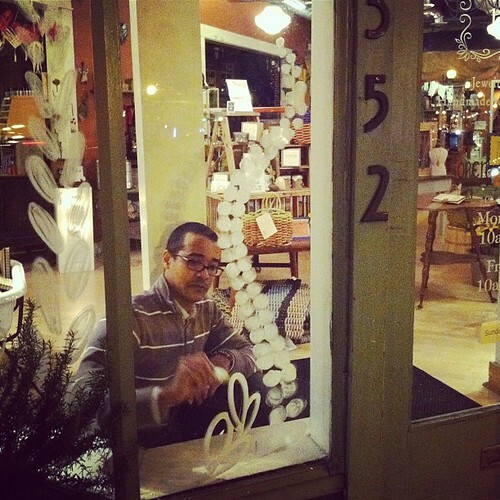 Some cities hold store windows contests - yours would be a winning in one of those, no doubt! What fun! Wish I lived a little closer, so I could come see your hard work in person. You all are such a great team! 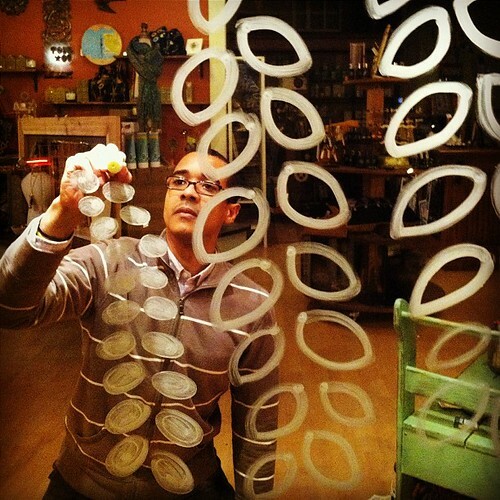 Beautiful installation!!! 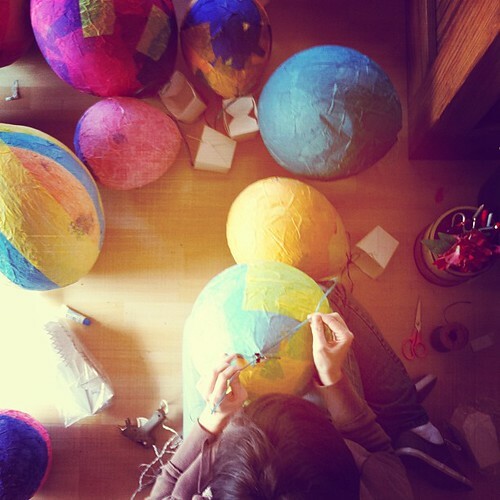 Love the hot air balloons - such a great take on a favorite art project of mine - paper mache! Ann, Fados, Molly and Rebecca--thank you all so much! You two are so damn cool it hurts! Love the window! 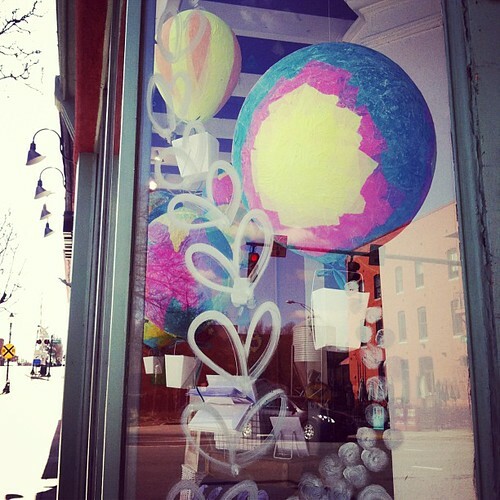 Love the paper mache balloons. Love it all! Just wanted to let you know that I smile every time I drive by justbe and see this window. Beautiful work by beautiful people!